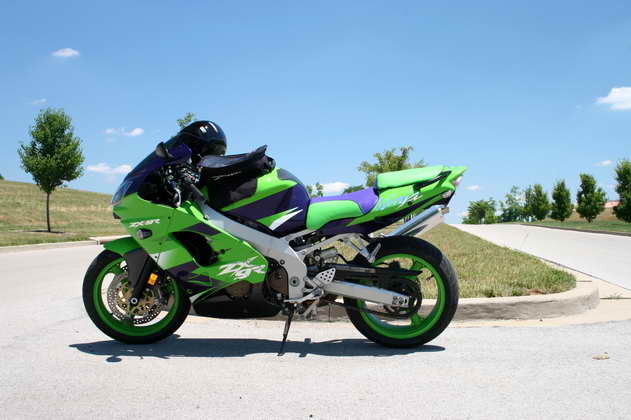 Description Green ZX9R with full Muzzy exhaust. Aftermarket green and purple seats with lic. plate number 00613M.